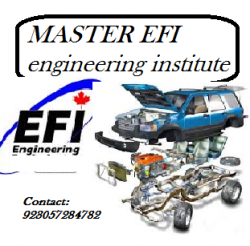 First Time in Faisalabad, Pakistan, We are launching Auto EFI Training Institute in Faisalabad, Pakistan. You can earn a big money with Auto EFI Course. You can make your future with this course. And There is no any Auto EFI institute in all Asia and all Arab Country. The Students are coming in our institute from other cities and other countries. Because they want to earn a handsome amount, and this is a unique course, which will give you a big profit in Future. Note: if you want to go Saudia, Dubai or any Arab Country or USA, Canada or any other country and you have no any technical work experience then must do this course, Then you can earn minimum 200000 + due to Auto EFI course. Now you can enjoy the home of repairing. we deal in all type cold room installation and maintenance and services. Contact us if you have any Questions relating to air conditioning System. Emergency call, installation, Maintenance, Sales & Service.